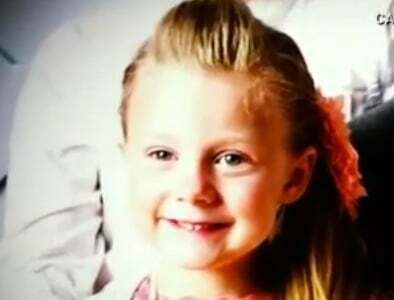 A Dad has foiled a kidnapping attempt on his 5 y/o daughter. 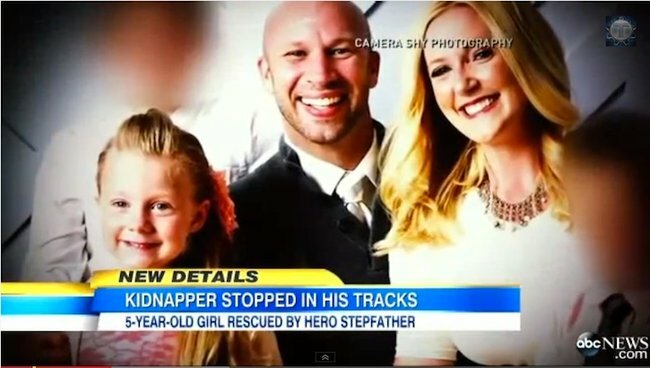 NEWS: He woke up in the middle of the night to see a stranger holding his daughter. Stephanie Edson reunited with her daughter. Just the thought of it chills you. A family asleep in their home, safe, when a man breaks into their house in the early hours of the morning and kidnaps their five-year old daughter. The awful circumstances could have gone disastrously wrong – but for this lucky family they didn’t. Aaron Edson and his wife Stephanie from Utah in the US woke up to the sound of their front door opening – terrifying in itself. What they did not know was that a man was fleeing their home after snatching their five-year old daughter. Troy Mitchell Morley had allegedly broke into the house rummaged through several rooms before spotting and grabbing the little girl out of her bed. As he fled across the front garden with the five-year old in his arms a neighbour reports hearing the child scream. Aaron Edson ran outside dressed only in his pajama bottoms and a hoodie and saw the man holding his five-year old stepdaughter. 46-year old Troy Morley dropped the girl and ran. She frantically cries “There was a man in my home and he took my five-year-old daughter. The man ran but was soon captured by police after he broke into a neighbours’ home. Aaron Edson and his family. “I think that you’re going to hear that a miracle occurred here today” . Police say there was no known connection between the family. Morley has been charged with child kidnapping, burglary, trespassing and resisting arrest. The little girl was not harmed and the family are now back together relieved and shocked by their lucky escape.